Custom Plastic Injection Molding Advantages | Abtec Inc. Custom Injection Molding Advantages at Abtec Inc.
At Abtec Inc., we’re proud to offer custom mold making services, helping clients bring their product visions to life. Versatile and reliable, plastic injection molding is used to create a huge range of everyday products. 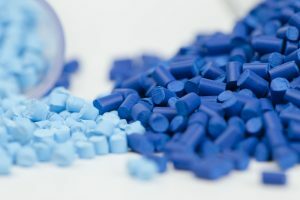 One of the most popular methods for mass producing plastic parts, this technique continues to rise in popularity across diverse industries and applications. Plastic injection molding is one of the most efficient methods for producing machined plastic parts. Since periods between cycles can be as short as 15 seconds, more parts can be made — meaning thousands of precision parts can be produced per hour, depending on the specific mold. This high production output rate helps companies boost revenue and profit margins. Custom plastic injection molding allows for great design flexibility. Nearly any type of plastic part can be produced using this manufacturing process, and the molds allow the finished product to be extremely precise, typically within 0.005 inch. Having a full understanding of customers’ needs is imperative for ensuring proper product form and function. With years of industry experience and a dedication to close client collaboration, our team is able to determine the ideal design and material for customers’ projects, and can begin work quickly on prototypes. Our team’s deep expertise is invaluable when deciding on the ideal material for a part. Material selection is a critical step in the manufacturing process, and must be based on the intended strength of the end product. Other key factors to keep in mind include appearance characteristics, such as color and finish, and any applicable regulatory requirements. Dozens of material options are available to meet specific application needs. More and more aspects of the injection molding process can now be automated. Robotics automation allows repetitive actions to be carried out quickly and efficiently, without the risk of variation. During the injection mold process, automation can be used for various tasks, such as removing parts from plastic injection molds or positioning inserts or metal components into the molding machine. Robotics can also be used for secondary services, such as assembly, packaging, drilling, and sorting. Automation offers a range of unique benefits, including highly consistent, improved part quality, as well as reduced costs, less waste, and enhanced machine utilization. Plastic injection molding is cost-efficient for a number of reasons. First, injection molding machines often run with a self-gating tool to streamline operations and keep production going smoothly passing the cost savings off to the customer. With a huge range of design, material, and color options, nearly any kind of part can be created with the custom injection molding process. Color and material type are easy to change in plastic injection molding machines, and one mold can produce many variations of the same product. Abtec also provides a number of secondary services, allowing for further customization. Popular services include milling, drilling, CNC machining, hot stamping, ultrasonic welding, heat staking and painting. Why choose Abtec for Custom Injection Molding Services? Abtec will be there with you year after year; as many of our customers have been with us for 30 plus years. Why invest with a company if they can’t guarantee to be around for the length of your project. We know our customer needs, their scheduling and buying habits; we are prepared and quickly respond to our customers needs. You get your product when you want it … on-time with quality you can trust. Abtec is a qualified and certified ITAR/DOD and JCP injection molding company providing sub-tier government suppliers confidence in your services. In addition, Abtec is ISO 9001:2015 certified with a QMS that provides customer confidence in the quality and services we provide. 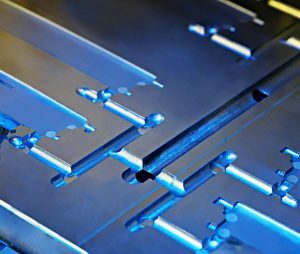 Abtec can comply with your product specification and not have your sacrifice or compromise as we assist with design for part manufacturability. We work with you and understand your expectations and challenges. Abtec utilizes the best molding practices and communicate with you to provide satisfying results. Continuous interaction with our customers, Abtec will create with your company a solid business relationship foundation that will benefit and project development process. No matter what kind of part is needed, the experts at Abtec know how to turn your idea into a high-quality finished product. We offer both high- and low-volume production capabilities for custom plastic injection molded parts, and guarantee on-time delivery for every order. To learn more about plastic injection molding and discuss how we can help with your unique application needs, reach out to the team today. We’re on hand to answer any questions you may have about injection molding products and processes.